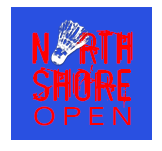 Enter today for North Shore Open! Entry Deadline: Postmarked July 6th or given/emailed to Shannon by July 11th (this has been extended fro the original July 9th date). Emailed entries must have paypal entry fee paid to badminton@shannonpohl.com. The North Shore Open is a premier tournament at the SPBA, held every Summer. Both adults and juniors of all levels are encouraged to participate. 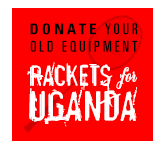 Events are held in A-B-C-D dropflight format in women’s singles, women’s doubles, men’s singles, men’s doubles, and mixed doubles. Awards are given to first place finishers of all flights, and a gift will be given to all participants. I hope you can join us! This entry was posted in Uncategorized on July 6, 2017 by spadmin.